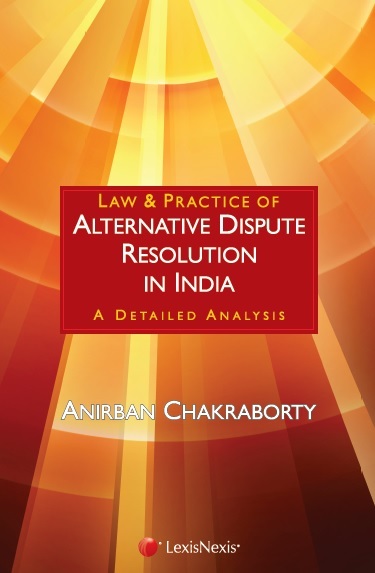 Law & Practice of Alternative Dispute Resolution In India has been designed keeping in view a diverse group of target audience including law and management students, lawyers, judges, policy makers, and corporate persons. The book aims to meet the increasing demand of knowledge and ideas on the various alternative modes of dispute resolution for all major stakeholders. The underlined idea of the text is to expose the audience to the complex array of dispute resolution processes, discuss their jurisprudence and highlight the advantages of each of these approaches, generically known as alternative dispute resolution (ADR). After a general introduction to ADR, the book provides a comprehensive discussion on the different aspects of law and procedure, in relation to conduct of arbitration in India and enforcement of foreign arbitral awards. It then deals with the law and practice of negotiation, mediation, conciliation and the Lok-Adalat. The book also lays emphasis on the emerging areas in ADR practice in India like court-annexed ADR and ADR in the criminal justice system. It concludes with a critical appraisal of the implementation of ADR over the past decade and recommends some future steps to strengthen the practice of ADR in India.